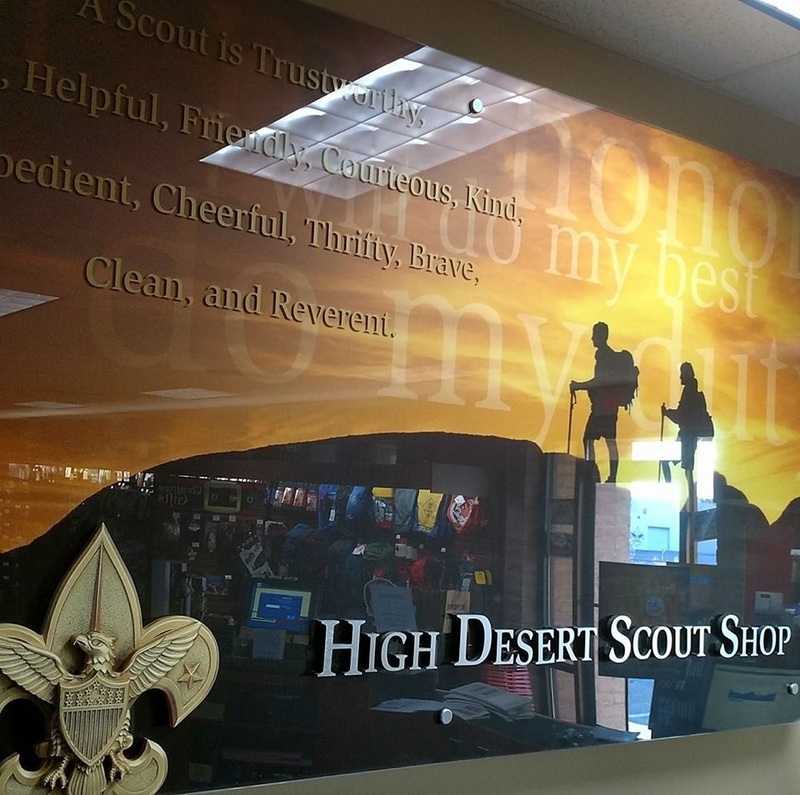 The High Desert Scout Shop is located within the Great Southwest Council Service Center, and looks forward to serving you and your family with all their Scouting needs! We currently have all the newest Cub Scout handbooks and their adult leader counterparts! Phone Orders: The Scout Shop takes phone, fax, and email orders daily, and orders will ship promptly based on stock availability, and business day. Shipping and handling charges apply to all orders. We ship FedEx two-day express, and next day service is available for an extra fee. Pick Up Orders: Customers can contact the store with an order, and the order will be ready when you arrive. Large orders and orders during the fall make take several days. Please check with the store for availability. Online: Visit us online and ensure you make the High Desert Scout Shop your favorite store. You can check inventory availability, shop online, and see our latest exclusive online deals. Sewing: Our in-store sewing and hemming services will have you ready-to-wear! 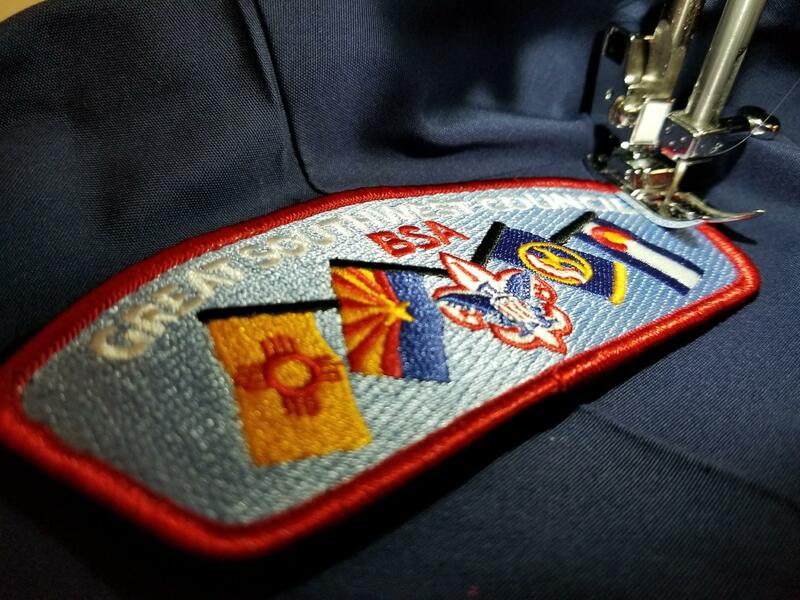 We will be happy to sew your uniform patches, brag vests, Merit Badge sashes, patch blankets, jackets, and more. Patches start at $3/each and hemming starts at $10/pair, and the service is available while you wait. Please check with store for availability and turnaround times. Sales Tax Exemption: Units that are tax exempt must keep the exemption up-to-date with the Boy Scouts of America. A unit's chartered organization must complete a tax exemption form every three (3) years to receive sales tax exemption on allowable unit purchases. Your unit's exemption must be considered valid with Supply Group--meaning on-file and updated in our database to receive the allowable exemption. Please speak to an associate for further details. Facebook: Like the council's Facebook page to find out about special events and opportunities, and the High Desert Scout Shop's Facebook page to find out information on sales and new items. Custom Orders: We offer a full variety of t-shirts, polo shirts, caps, and patches to outfit your unit. Ask your Scout Shop manager for a quote and compare the difference in price and quality. In addition, we can do custom unit numerals, unit flags, nameplates, and more to get your unit looking sharp. See an associate for help ordering. Gift Cards: Scout Shop Gift Cards make the perfect gift for any Scout or Scouter. Our Gift Cards can be for any amount, and used in any Boy Scouts of America operated Scout Shop, and online. Paperwork Requirements for Purchasing Advancements: According to the BSA Advancement Report (#34403) and the Guide to Advancement, all advancement reports for ranks and awards that have a Board of Review require three (3) signatures from the Board of Review members on the advancement paperwork. Ranks and awards that must follow this standard include Boy Scout Ranks (Tenderfoot, Second Class, First Class, Star, and Life) and Venturing awards (Discovery, Pathfinder, and Summit). These signatures are to be submitted in one of the following ways; a signed traditional Advancement Report (#34403) attached to an Internet Advancement Report, or a signed Internet Advancement Report. Read more. Holiday Hours: The Scout Shop is typically open, weather permitting Monday through Saturday except for the following holidays: New Year's Day, Memorial Day, Independence Day, Labor Day, Thanksgiving, and Christmas Day. Extended hours typically occur during the fall recruitment period and are posted on this page. BSA Uniforms: The Boy Scouts of America has always been a uniformed body. Its uniforms help create a sense of belonging. They symbolize character development, citizenship training, and personal fitness. Wearing a uniform gives youth and adult members a sense of identification and commitment. The Guide to Awards and Insignia presents detailed information to enable BSA® members to wear the correct and complete uniform on all suitable occasions. 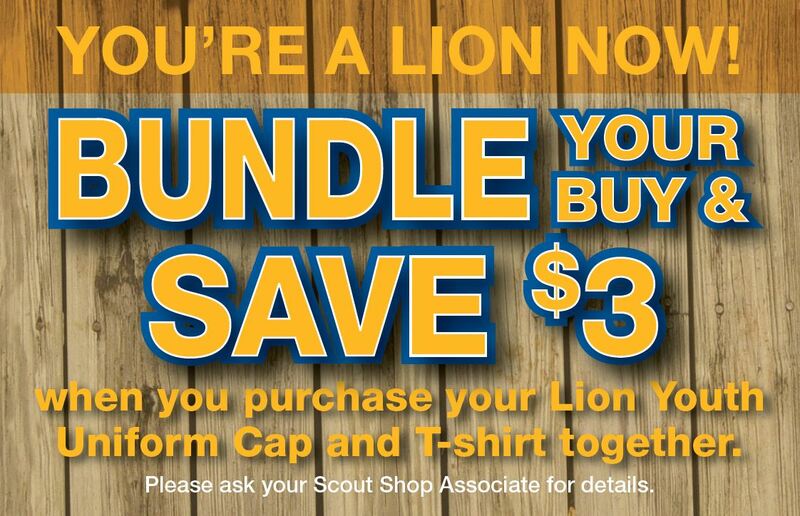 You can find more information about: Lion Scouts, Cub Scouts, and Webelos Scouts here; Boy Scouts here; and Venturing here. The High Desert Scout Shop is owned and operated by the Boy Scouts of America.